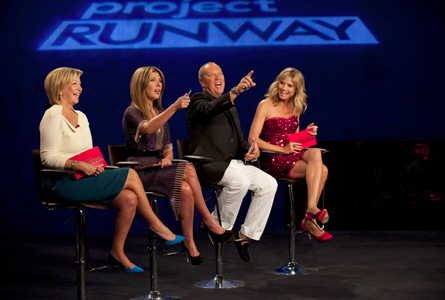 PROJECT RUNWAY: Season 10, Episode 7 Sneak-Peek! Check out these behind the scenes set photos from episode six featuring designers; Ven Budhu, Alicia Hardesty, Gunnar Deatherage, Elena Silvnyak, Christopher Palu, Dmitry Sholokhov, Melissa Fleis, Sonjia Williams, Fabio Costa. 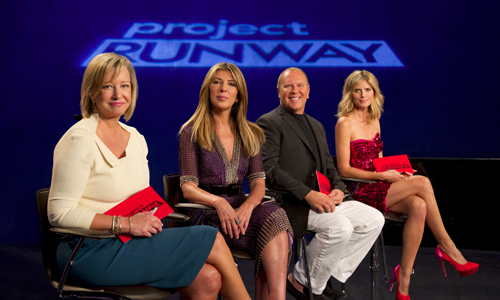 With judges; Nina Garcia, Michael Kors and Heidi Klum. Plus a preview clip of this Thursday’s new episode! (L-R) Tim Gunn and Lord and Taylor President, Bonnie Brooks. 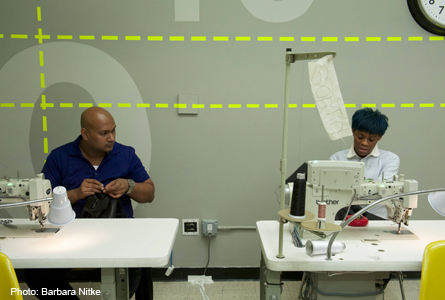 Remaining designers wait for their next challenge in new episode airing Aug. 30th. 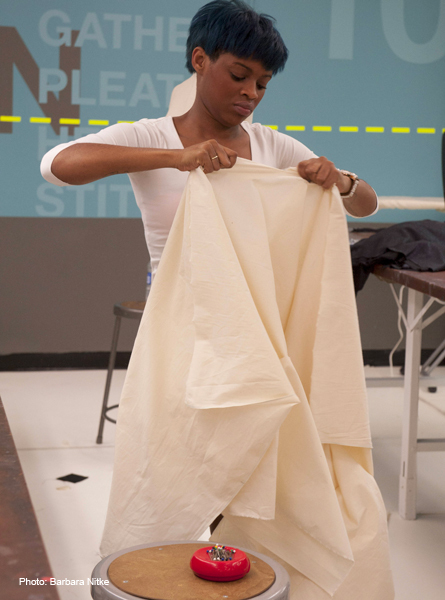 Sneak-peek video to episode 7 “Project Runway”. 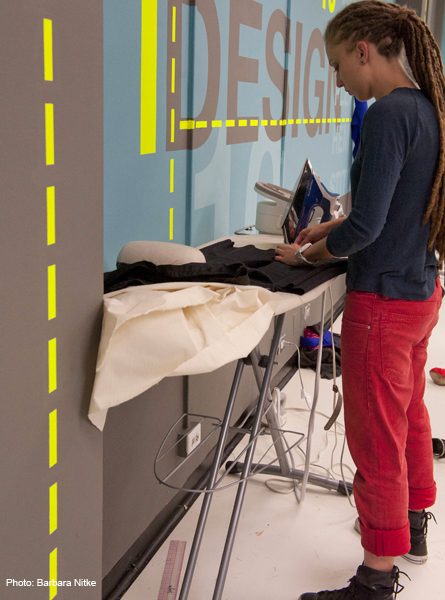 Elena Silvnya works on her design.